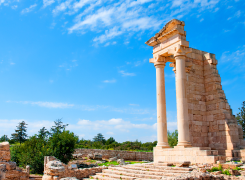 Travel tips for visiting Cyprus. 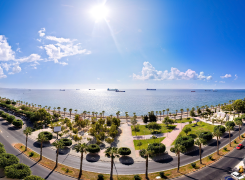 These useful travel tips will help you plan your next trip or holiday to Cyprus. The recorded history of Cyprus begins with the occupation of part of the island by Egypt about or just before 1450 BC, during the reign of Thutmose III. In subsequent centuries seafaring and trading peoples from the Mediterranean countries set up scattered settlements along the coasts. 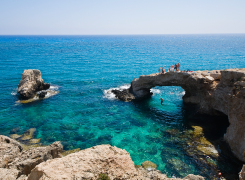 Your experience of Cyprus can be as varied and rewarding as the geography of the island itself. Starting with the sea: There are beaches in Cyprus to suit just about everybody, from families with small children to seekers of solitude. The mountainous interior, the Troodos, offers an alluring contrast to the coast that shouldn't be overlooked.